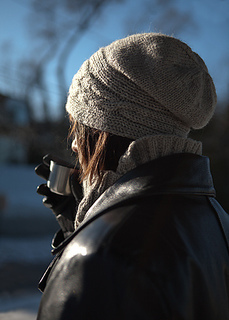 Why let the deep days of Winter keep you from doing all the things you love..
Our solution? HEROIC CABLES! because there’s nothing we like better this time of year than being able to style the Great Outdoors! 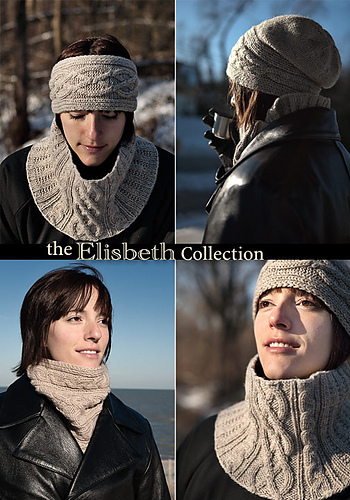 the Elisbeth Collection four lovely cabled accessories available together for one low price. Inspired by the those, in days gone by (Joan! Elizabeth!) or right-this-minute (the Girl with! 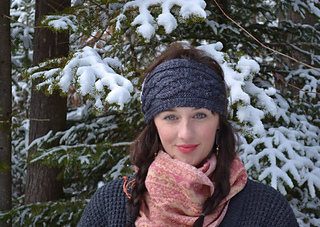 ), who need to Keep Warm & Carry On, this lovely and flattering series includes a shaped Headband, a Cap with either a slouch or regular-fit option; a traditionally shaped tubular cowl, with a horizontal cable motif; and a lovely shaped cowl, with a vertical cable motif. 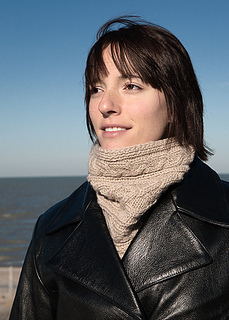 The collection is made in the popular 1824 gauge and features subtle shaping using short-rows and beautiful stitch patterning.